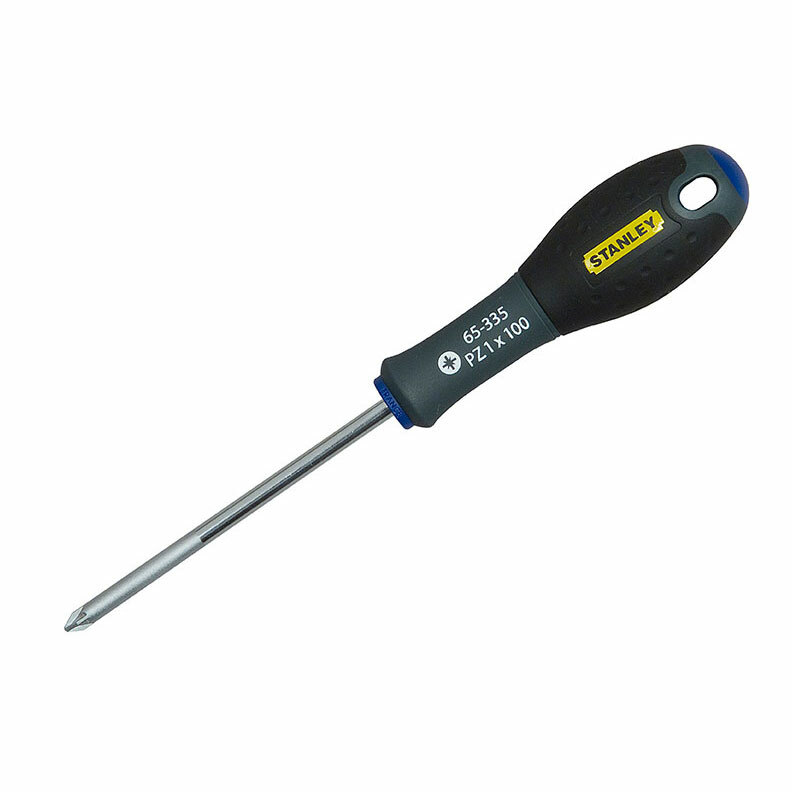 The Stanley FatMax Pozi tip screwdrivers have a chrome vanadium steel bar which allows high torque and reduces the risk of tip breakage, and the handle is moulded directly to shaft for a virtually unbreakable bond which gives long life and durability. The soft grip handle gives a perfect combination of great grip and reduced fatigue in use and is colour coded for easy identi­fica­tion of the right tip type for the application. The smooth domed end offers fast, comfortable spinning action and the large diameter handle offers higher torque when driving wood screws. If you require further information on our FatMax Screwdriver Pozi give sales a call on 01942 720777 or email us on sales@nwtt.co.uk.